@Admin, hope am not the only noticing that the tipster portaltip and ivantsochev are one and the same person? I think He’s using IP changer to change his location and trying to scam the site. 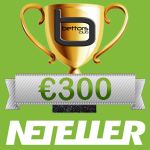 The two tipsters are 2 different persons, they have different accounts at skrill, neteller, bet365 and betboro. The accounts are verified, especially at bet365. So please, both of you, act like professionals, it’s one month, the prizes will be every month. Stop crying, if you are bad in predickting game its not our fault. 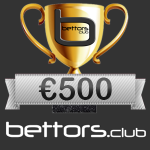 You are all good tipsters, it’s just one month, the prizes will be next month as well. So be professional.